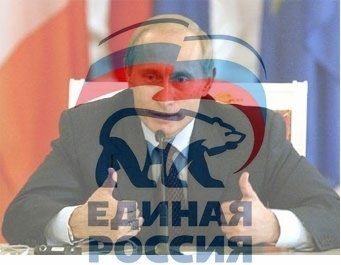 Today, in a speech at the meeting of United Russia party members, President Putin agreed to head that party’s list in the upcoming Duma elections. Furthermore, Putin did not rule out the possibility that he could become Prime Minister in the future. What implications does this have for Russian politics and government? What ‘successor’ narrative does this fit into? First, this is clearly a boon for United Russia, because a now formalized association with Putin will bring with it his enormous popularity. Expect to see United Russia’s rating to go up significantly in the next few weeks. Furthermore, this is likely to hurt Just Russia’s ratings until some other political celebrity joins its ranks (Zubkov?). Second, this is perhaps the most significant development in Russian politics in a long time – no Russian president has ever been formally associated with any political party. Whether Putin’s association with United Russia will have the effect of strengthening the role of parties or hurting other parties due to his popularity remains to be seen. Lastly, this development has many implications for not only ‘Operation Successor’, but also the evolution of the Russian state. Perhaps, having strengthened the executive as much as possible, Putin will work similar magic on the legislative branch? After that, he could be a Constitutional Court judge and finish his job, I suppose. Either way, Putin’s entry into the legislative and political field does not support the dictatorship or ‘Putin holding onto power‘ narrative. Constitutionally and practically, the executive in Russia is the strongest branch and the President is the strongest actor. If Putin wanted to maintain ‘his’ power, he could easily have the Duma amend the constitution and allow him to be reelected indefinitely. In contrast, I see this move as an attempt to diversify sources of power in the Russian state. Finally, I would argue that Putin wants different interest groups in Russia to organize themselves around parties, and to have a genuine stake in the development and successes of those parties. This will ideally lead to a less personalized and less corrupt form of politics. This entry was posted in elections, Putin, United Russia. Bookmark the permalink. Putin’s entry into the legislative and political field does not support the dictatorship or ‘Putin holding onto power’ narrative. I disagree. He holds the power. He’ll just have a new platform from which to project it. Putin is the system, so wherever he goes as long as it’s not into private life, the power will follow. But this view ignores the fact that, under the Russian constitution, the president is extremely powerful. I don’t see the power following Putin unless the constitution is amended. Furthermore, Putin has the power to the extent that (1) he holds the office of president and (2) he has been an effective manager with high [albeit contrived] popularity. Well, only time will tell how it will play out, but my guess is that the new president is either a gray non-entity (Zubkov, or maybe they’ll bring back Fradkov to reprise his role as PM :)) or someone who is loyal to Putin but not a threat to him (not sure if such a person exists, other than non-entities). It will certainly be interesting to see exactly how the presidency is taken out of the loop, but I think that’s what will happen if everything goes according to Putin’s plan.